Give-Away #21 : Atkins and Potts' New Range: British Provenance Foods. What does British Provenance means? The idea is to source as many ingredients as possible from British farmers. Even down to the salt which comes from Anglesey. 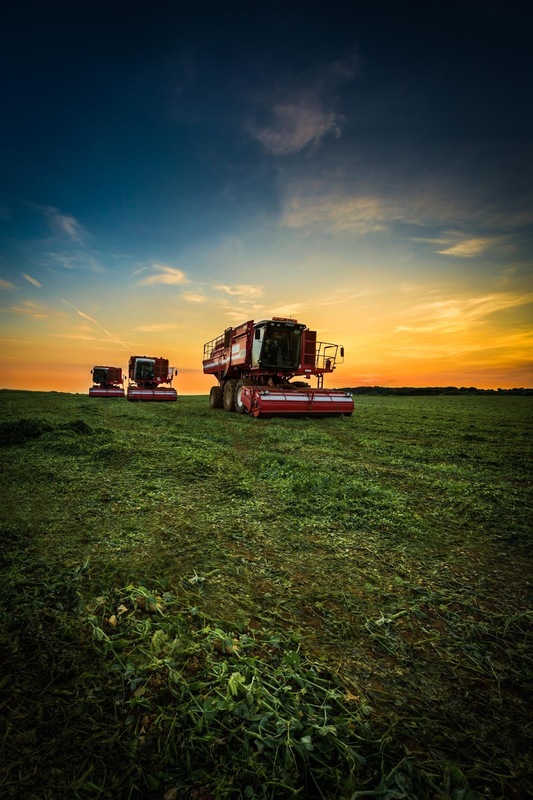 The ingredients used in the products also include British rapeseed oil, vinegar from Suffolk, mint from Middlesex, apples from Fourayes Farm and the onions, beetroot, sugar, eggs and butter from a variety of British farmers. Which products are in the range? 7 "cheat" sauces and chutneys which are made in small batches. The new products have a nice texture and non of "that" industrial flavour. Read a review here. This month products review post is not strickly food. There is a little bit for everyone including fellow bloggers and a special gift for readers. Atkins and Potts is one of the ever growing number of artisan independent food producers. The food scene has never been more vibrant and in my opinion some of the best quality food originate from family run companies. Foodies with a passion, sometimes with a mission but always putting taste and consumers first are producing some great products. Atkins and Potts are launching a new range, British Provenance. A range of sauces and chutneys which uses as many home grown ingredients as possible. For example, the vinegar used is from Suffolk, the sugar, butter, fruits and vegetables from a variety of British farmers. The taste test: British Provenance Food Herb Dressing doesn't have the sharp, aggresive vinegary taste found in some other brands. it's something that I happily use in salads. Because it is flavoursome, less is necessary. The full range contains 8 products which a lucky reader will receive as Atkins and Potts will be offering the whole range as a give-away....watch out for the next post. Do you have a wish list? I don't but if I did, I would have put a bread bin at the top. Why? I didn't have a real answer until I was offered coasted steel, shutter blue bin by Garden Trading. Garden Trading's large metal bins come in four colours, shutter blue (see picture), flint (soft grey), clay(off white), slate (dark green). There are large metal bins with one main asset: their look. They are charming and so pleasant to look up with their rounded corners, smooth metal, a visual feast. At that size, any of these bread bins can accommodate several loaves easily plus any breakfast cereals boxes. Making the area much tidier and last but not least it was not long before I noticed that the bread was kept fresher in the tin. Overall, I would not hesitate to recommend buying one at RRP £28. it's a really good buy. 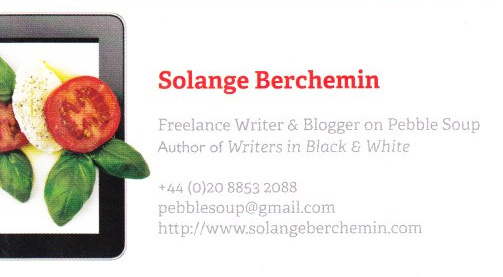 Keeping an eye on how other writers and bloggers introduce themselves, I realised that Pebble Soup business cards needed to be refreshed. That's when Vistaprint stepped in. + The choice of designs and fonts is really vast so it took a fair bit of time to create, only because there was so many to choose from. + Cards can be printed recto verso which is handy for a quick message at the back. + At every step there is a representation of what the card will look like. + Look out for promotions sometimes there are 250 free standard cards. + Delivery was very fast. - The web site is rather crowded which makes the process a little confusing. - The check out is a bit of a nightmare with all the various adverts. Though they can be avoided with one click, sadly I did spot this late. The cards arrived very quickly and in vistaprint style, I was kept inform of the progress throughout. Last but certainly not least, was inspired by an email, I got from a charity. I always decline politely to write about good causes on Pebble Soup. Except for this one, as I know from sad experiences that "no-one should face cancer only" and the people at Mcmillan are doing a fabulous job. This year, The World's Biggest Coffee Morning or Macmillan's biggest fund raising event will take place on the 27th September. And to help in style The former Red or Dead founders, Wayne and Gerardine’s design house created the limited-edition apron especially for Macmillan’s coffee morning hosts. Priced at £12.99, every penny of profit goes to Macmillan. www.macmillan.org.uk/shop. Have you ever wondered what do chocolatiers do during the summer? It's the type of niggling question which deserves an answer. Though sometimes asking it feels very frivolous. A couple years back I had the pleasure of interviewing Keith Hurdman Thorntons’ Master Chocolatier for a chocolate magazine and at the end of the interview, I couldn't help it. I asked my question. Indeed, Thorntons is best known for their numerous chocolate gifts ideas. I was offered a Continental Collection for review. The first striking element here is the price. Where would you, for £20, get a kilo and half of quality chocolates. 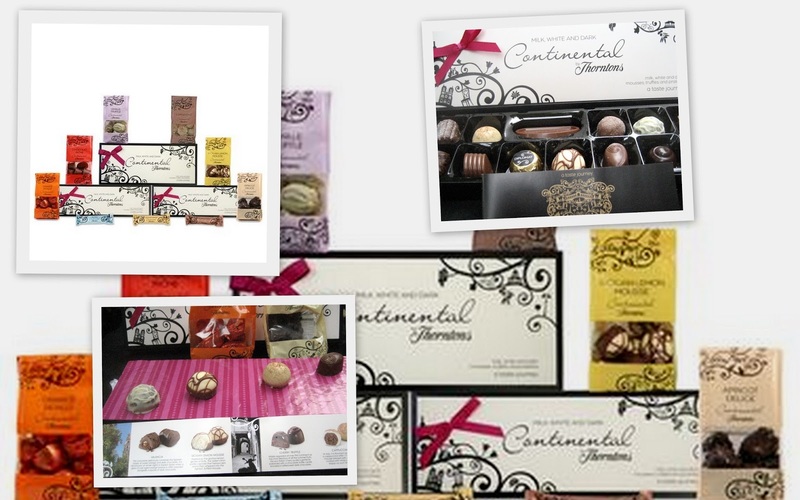 Chocolates have a shelf life of six months or thereabout so getting your chocolates now means that you can cover Halloween with the various bars, a few birthdays with the classy signature boxes and plenty of Christmas parties with the chocolate bags and you can keep the large box for yourself. The continental collection is a timeless classic, first created almost 60 years ago, in 1954. Such longevity is a sure sign. It has got it all, nutty truffles, fluffy mousses and straight chocolates. With Thorntons, one thing is certain - the product will not let you down. The chocolates are well balanced and full of flavour. By their own admission, they are not made with the finest, most expensive cocoa but the chocolate use is certainly good at the correct price for mass market. And sometimes this is exactly what you need. As the holidays are in full flow, our attention is drawn to foreign dishes. Take Moussaka, now-days regarded as a symbol of Greek cuisine, what would be our surprise if we were told that it has been "borrowed" from another land. Let me tell you a tale which will blow your hat away. Moussaka originates from the days of Sinbad, Shehrezade and Aladdin. It's a dish which was enjoyed by Caliphs in the glorious days of Baghdad. Muhklabah as called by the persians in Medieval times was originally a simple and tasty dish, composed of meat (lamb or beef), aubergines and topped with cheese. On its way to Greece, it stopped over in Armenia and it that ancient land it became a traditional fare, a family dish made with lamb meat, topped with eggs and cheese. 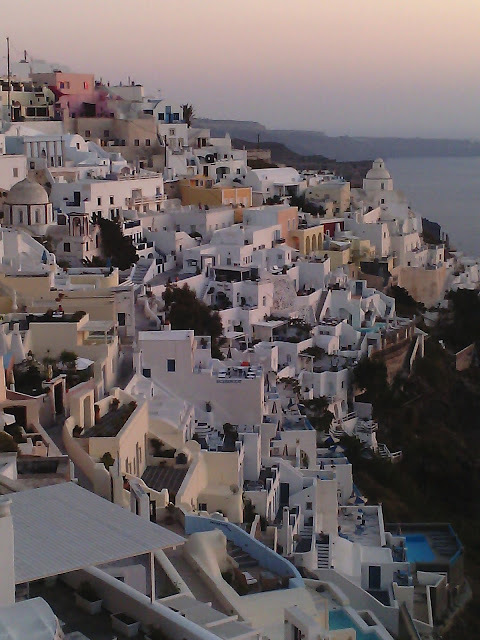 Last autumn when we hopped from a Greek island to another among the many marvels which left me wide-eyed, my jaw dropped when on a street corner, where a few stalls had been hastily put together, I spotted white aubergines. I have absolutely no idea what these albino eggplants taste like but I never had never seen such a thing before nor ever since. Of course all these fabulous things were duly recorded. Greek cuisine is one I would love to love, the ingredients are healthy and superb but I have had too many rip-off, luke-warm dishes in restaurants where nobody cared so I am slightly wary. But I will be the first to recognise that nothing beats a glorious home-made moussaka, preferably hot. If a whole book could be written about Moussaka, there is a few essential things to know. First, it's a dish of many components which takes a long time to cook, so a few cheats won't go amiss. Then, there is a debate about the aubergines. Should they be salted? though it's not necessary since current aubergines have had the bitter taste removed, it's still favoured by some chefs, as when they are salted they don't absorb the oil as much. Last but not least, the bottom of the dish must be layered with parboiled potatoes to absorb the oil. Cut the aubergines into slices, about 1cm thick, salt and put aside to drain. Dry them and fry them gently in olive oil. When they are soft, remove from the oil. Put the onions finely chopped adding more oil if needed. When the onions begin to colour, add the meat, cinnamon, parsley, sugar and garlic. In the meantime parboil the potatoes and when ready slice them about 1cm thick. In a ovenproof dish place the potatoes and then layer the aubergines with the cooked mixture, season. Repeat until you run out of both, always finish on a layer of aubergines. Warm the stock and add the tomato paste, pour over the layers and cook in a slow oven (180C) for about 1 hour. Make the bechamel sauce, add 3 tablespoons of cheese. Cover the aubergine layer with the sauce, sprinkle the last spoonful of cheese over it turn the over a little higher and cook until the top is brown which will take about 20 minutes. Paprika is a powder made from various kinds of peppers mostly used for color or because "the recipe says so". Lately there has been a marked increase in the sale of marinades and rubs; all products which are likely to contain paprika, this time used for the flavour. Having said that, paprika is a very popular in its own right, often a best seller. As a general rule we buy the plain kind labeled simply "paprika". It plain, with little flavour but adds a nice red colour to a dish. But if you have to try one new paprika, it has to be smoked paprika or pimentón de La Vera named after the region in Spain where farmers harvest and dry the chiles over wood fires. That's the paprika used in paella. Hungaria is the best known for producing paprika. From our train trip from London to Istanbul, I recall very little of Hungaria. Except for Pécs, birth town of the graphic artist Vasarelli and a vineyard situated amidst tall blocks of flats where we ate a deep flavoured goulash washed by lots of wine while listening to violin music. There are 8 grades of Hungarian paprika ranging from the most vibrant red called Kulonleges to Eros which is really hot and orange. Talking about hot and really tasty. A few days ago, I was banned from the kitchen as he made a "pork surprise." A recipe found on Food and Wine which, I hope, will become one of his classic. It is delicious, full of flavour. The recipe recommends to cook the pork in bacon fat but ordinary oil did fine. Pork cuts are sirloin which is a little posh for a comfort dish. It also contains 4 teaspoons of paprika which after much discussion we thought that it would be much better with paprika and a pinch of pimento (smoked paprika). Last but not least it's serve on a bed of egg noodles but noodles don't gel with the dish and tagliatelli would be so much better. meanwhile cook the paste, drain and serve. A month ago I received a press release which highlighted an highly important operation taking place in farm fields up and down the country. "The pea race" lead by Birds Eye. Immediately, this little reported news conjured images of a jovial, retired, bearded, naval captain armed with a fork, chasing lively bright green petit pois, whizzing in all directions, a large field flooded with intergalactic blue lights. Things that happen in my head! As fantastic as it may seem The Great British pea race against the clock to bring peas from field to freezer in record time is almost more fanciful and a lot more interesting. 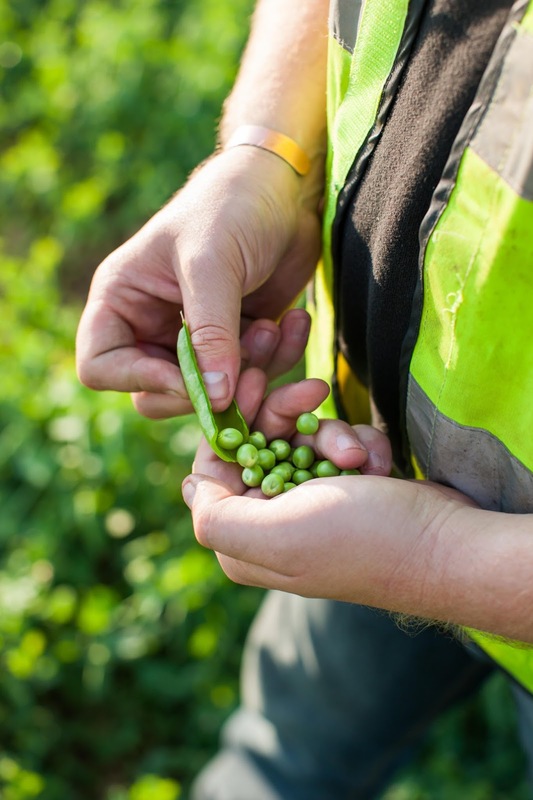 Within 8 weeks 40,000 tonnes of garden peas and petits pois are due to be picked. that is Last year Birds Eye sold 233,724,881,710 peas enough to fill 42 Olympic sized swimming pools. How do they pick all that? That is when the story starts to be fascinating. In the weeks leading up to harvest, the peas undergo vigorous testing with daily samples sent for analysis in a hi-tech machine baring the quirky name of ‘Tenderometer’. The machine determines if the peas have yet reached the right texture to give that perfect pop. Then it's the turn of a special crack team of experts (humans, this time) who judge each of the samples for their colour, size and flavour to ensure that only the highest quality peas make the grade. Following crack and pop, ensues pick. Harvest time is a really intense, "Once a field is set for harvesting the team of farmers are ready at a moment’s notice to begin work and where necessary toil throughout the night and day to ensure the peas are picked at their ripest", the PR explained. To lock all this freshness in, it's vital that garden peas and petit-pois continue their journey as fast as any racing althete. Once harvested, they are transported, in Bird Eyes case, within two hours and a half hours, no further than 35 miles from the field to the factory. 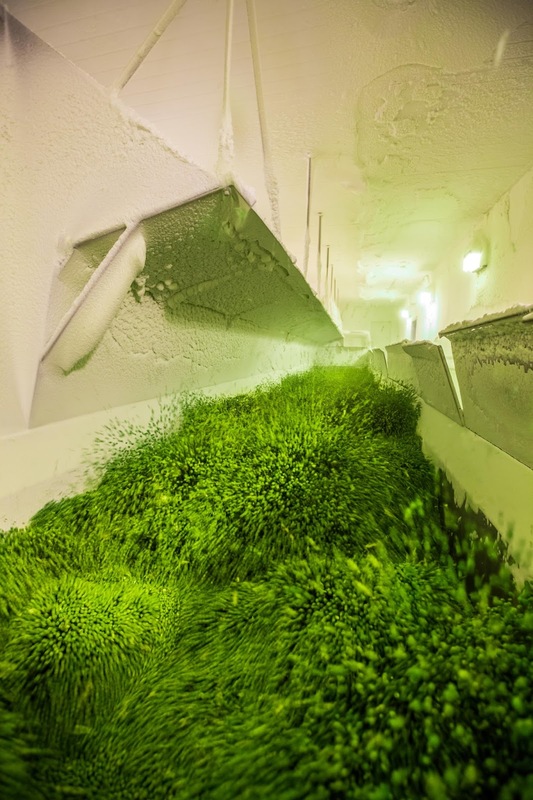 Once there, they undergo a unique fast-freeze process which freezes to the perfect temperature and locks in a full flavour. As the wise woman once said, "Frozen peas are fresher than the ones found on market stalls". She was right by locking vitamin C and other nutrients in, "Freshly frozen garden peas and petits pois contains as much vitamin C as two large apples, more fibre than a slice of wholemeal bread and more vitamin B1 than a pint of whole milk." However wonderful the story is, we all know that the proof of the eating is in the p... Not only was I sent a Press Release but I am also due to received peas straight from the factory, picked the day before. The best way to cook frozen peas is to throw them in boiling water for 5 minutes, drain, back in the saucepan with salt and pepper and a knob of butter. disclaimer: Bird Eyes commissioned the "harvest story" and provided the pictures. Words are my own. Panna Cotta is an Italian classic made with cream and gelatine. It looks classy when served in dainty espresso cups and there is no true cooking involved. This may explain why, it has been a favourite dessert at dinner party for a long time. The diet choice is made with milk so instead of the unctuous texture the end product is very similar to an Asian milk dessert, still fresh and nice though. In lots of ways Panna Cotta ressemble Blancmange, the British oversized version, a family dessert, made with milk and cornflour. If you were a child in the 60's, there might be a possible stigma attached to blancmange; often made out of a packet of a sweet, sickening powder, like a lot of desserts were back then. So, you might want to forget that Blancmange and Panna Cotta were mentioned in the same sentence and let's continue with what makes a silky lovely Panna Cotta. It's a happy medium, half cream, half milk with delicate flavouring. Note the emphasis on delicate, a hint of vanilla or rosewater. E qui, a quick, light, dessert. Perfect companion to summer berries. In a milk pan, bring all the rest of the ingredients together to simmer should take about 10 minutes. Remove the vanilla pod, squeeze the leaves. Pour equally in 4 cups and refrigerate for 2 hours. If you are using moulds, to remove from mould, place each mould in boiling water making sure water doesn't get to the mixture. The heat will help the process. Have you ever noticed how food aromas conjure memories. For my part, having spent my childhood in Provence, I wish I could say that lavender takes me back to my mum's kitchen. But though we had a few lavender home-made sachets in various drawers, the kitchen smelt more of bleach than food. Cooking with lavender is a little delicate, too much and the dish will smell like a grandmother's favorite eau de toilette, too little and the fragrance will evaporate in the midst of other flavours. Personally, I wouldn't try to use any odd lavender either, though it might be perfectly OK to do so. It's better to call on specialist shops which offer edible lavender at very good price. Lavender lasts a long time. I acquired mine from Uncle Roy's and have been really please with the quality of the goods. For the biscuits recipe, I used Lavender sugar. To make your own, requires patience (a month of) but it's worth it, and makes nice presents. 1 tablespoon of lavender per 100g of caster sugar, seal in jars and leave for a month. Sieve it before using if you don't want the bit or use as such. Leave to rest in the fridge for 20 minutes. On a floured board, flatten the mixture and use a shaped cutter or a cookies press to make shapes. After 8 minutes take a look and cook a little longer if necessary up to 12 minutes no more.